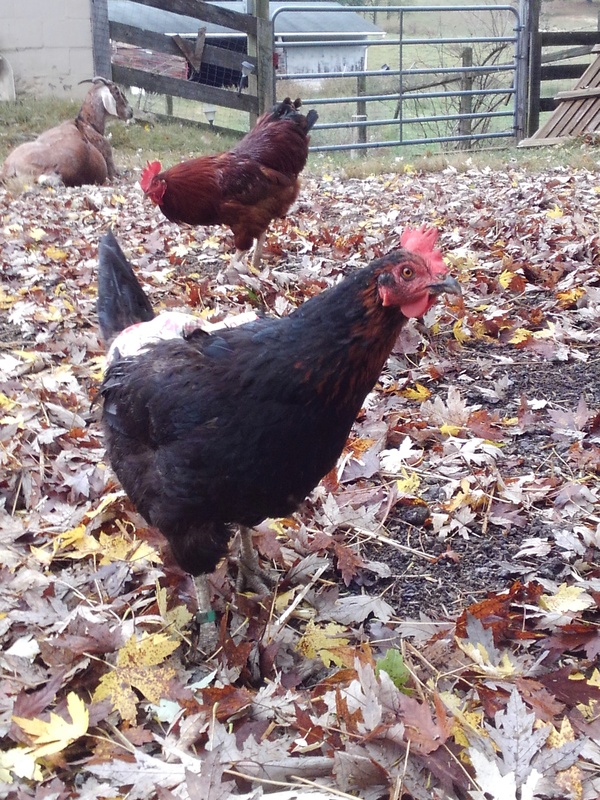 The rescued chickens are breaking ground of their own in the autumn leaves. We are literally breaking ground on many fronts here at Peaceful Fields Sanctuary! On September 30th, the sanctuary had the honor of rescuing for our first time kaporos chickens. These six new resident Cornish chickens came from New York where they were suffered and exploited as part of a pre Yom Kippur ritual. How could anyone be cruel to such a sweet face?! The chickens are grabbed by the legs or wings and swung overhead in the belief that sins of the person are removed. Afterwards they are discarded or go to slaughter, some were even found in sidewalk trash cans! A large percentage of these animals suffer physical and emotional damage as a result of this abuse. PFS is happy to provide a loving forever home to some where they are loved and will experience exploitation no more so the healing process can begin. 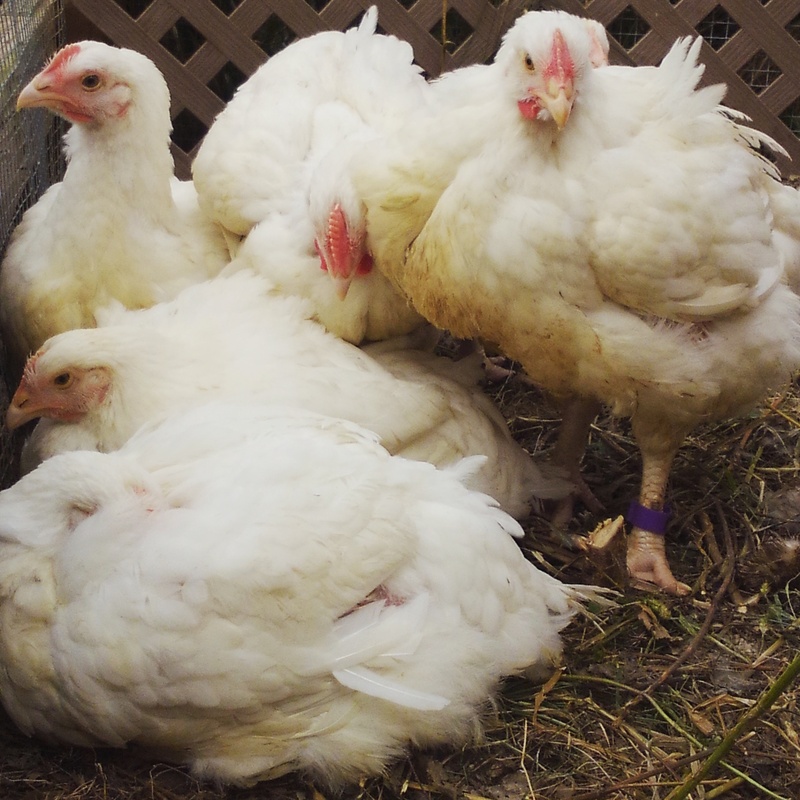 Several of the former kaporos chickens relax together in their new home. Another way Peaceful Fields is breaking ground…. Construction begins on two new buildings! Pad complete and awaits a building! 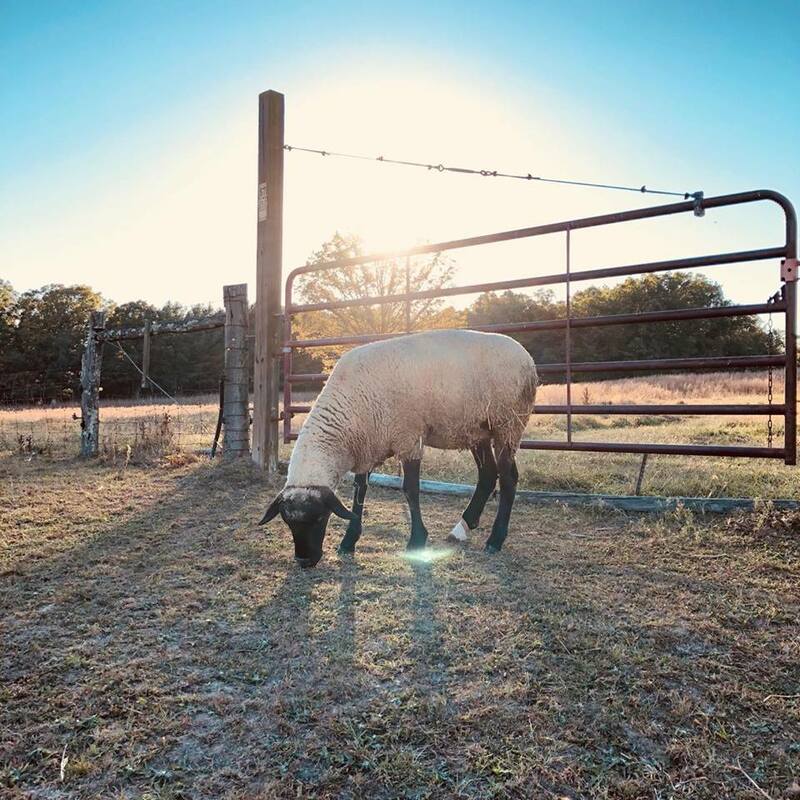 Martha, a sheep resident, will be getting a new building to call home. This year round run in will have a nice wide door to keep her safe and warm during winter as well as several windows for lighting and a spectacular view! Next to her room will be a storage closet where she’ll keep some snacks, fashion accessories and health supplies. As you recall, Martha was found tied to a tree in the woods last Spring in Louisa county Virginia. She was 90 pounds underweight, sick and had eaten everything within reach down to dirt when discovered. Shortly after arriving at the sanctuary, she gave birth to a lamb so two lives were saved! After experiencing all of that, she deserves a brand new house. Beauty! One of several special needs residents, she steals hearts with an expressive face and loving demeanor. 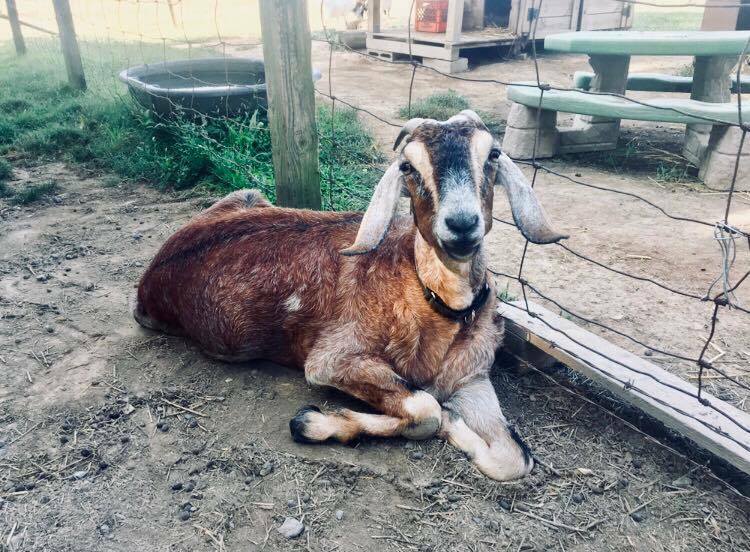 Beauty has been living at PFS for awhile now, originally coming from West Virginia where she was used for dairy goat breeding. She is unable to stand or walk due to permanent nerve damage. She suffered from a treatable infection that was allowed to progress to the point where she had difficult walking. Still denied medical care, she most likely fell as a result and damaged her nervous system controlling the front legs. As her special needs would put her at risk, she is unable to be with other goats but spends the day visiting next to the pygmy goat area talking, napping and head butting with friends. She will be moving from her current home into a new one which will be in a better location and free up her current building for storage and quarantine. Beauty’s new home, once complete will have flooring and a ramp for easy access. 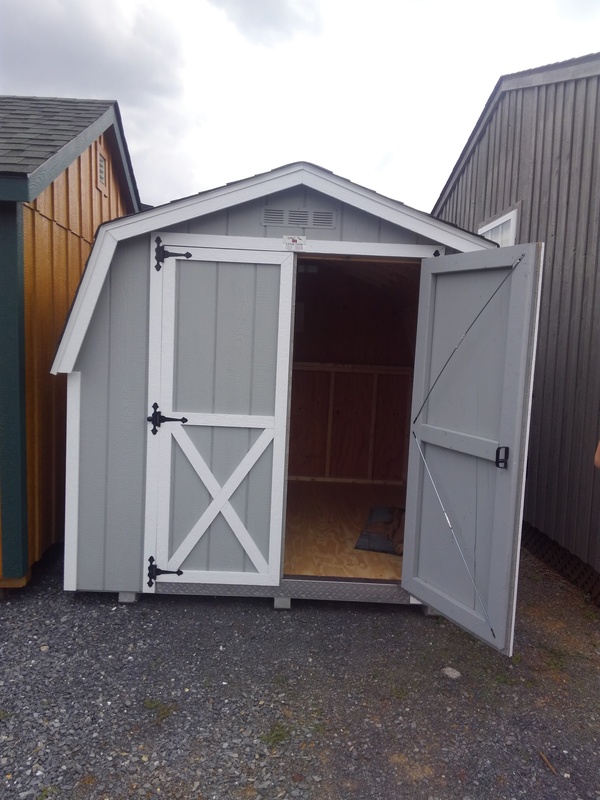 A nice wide double door entry low to the ground will give her easy access in and out of her new home to keep her independent. During rain or snow storms one or both doors can be closed to keep her warm and dry. As you can see, there sure are lots of exciting, ground breaking things happening at Virginia’s vegan farmed animal sanctuary. 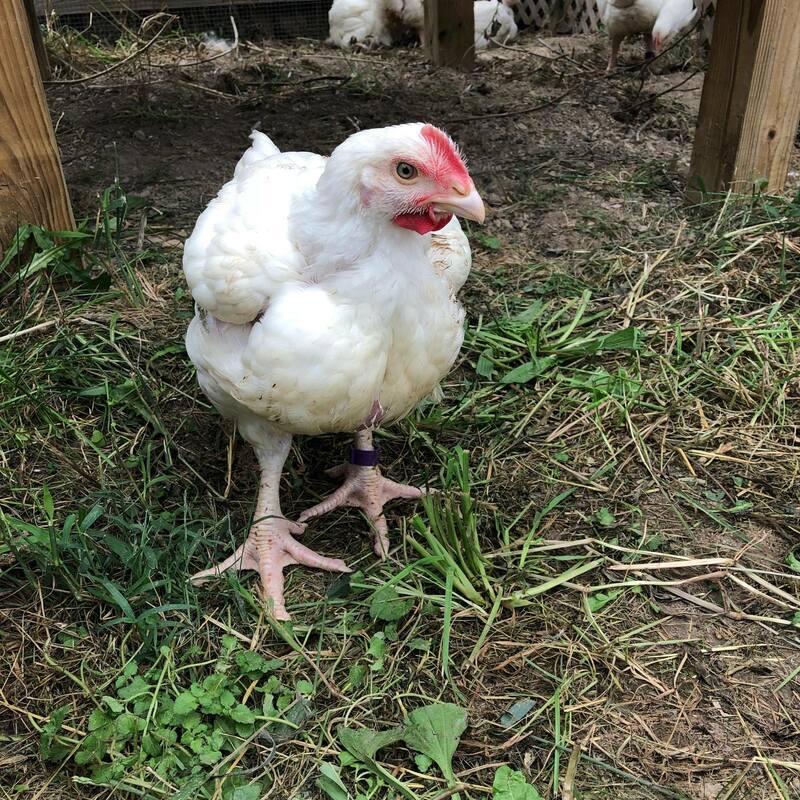 Join us in celebration and if you’d like to be a sponsor of the chickens, Martha or Beauty click on the donate tab for more details!